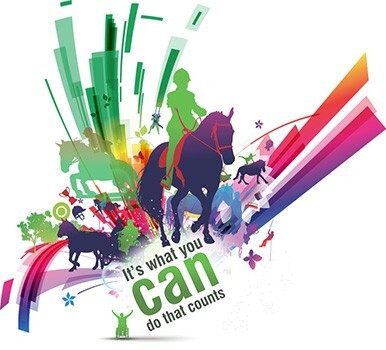 We are a member Group of the Riding for the Disabled Association which is a National organisation and entirely run by volunteers. Riding takes place during term time on Tuesday from 9 o’clock to 11.30am and on Wednesday’s from 12 noon to 2pm. We ride in an indoor riding school and when the weather permits in the outdoor riding school or round the fields. 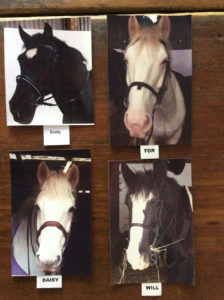 We own 4 ponies, Tor, Daisy, Will and Sooty who are very ‘special’. When necessary we hire others from Joyce and Jacky Newbury at Oaklands. We have a hydraulic mounting block to make mounting of our more disabled riders easier. We are self funding so it’s very necessary to fundraise to cover the running costs of the Group, which include insurance and membership fees, the hire of ponies, the purchase of special equipment needed, and the ongoing training of our coaches (instructors). The riders pay a percentage of the cost of their ride and the Group fund the outstanding sum. We give over 1,125 rides per year. Our more able riders have the opportunity to compete in Regional and National competitions in dressage, countryside challenge, arts and crafts and the National writing competition. 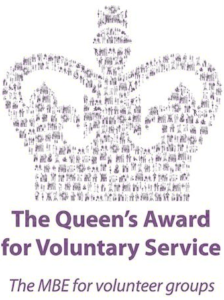 A few years ago we had a visit from HRH The Princess Royal, President of RDA and in 2015 the Group was awarded The Queen’s Award for Voluntary Service. 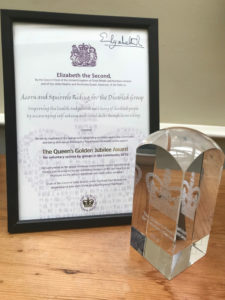 In July 2018 we were awarded ‘Partner of the Year’ with WESC Foundation, The Specialist Centre for Visual Impairment in Exeter. 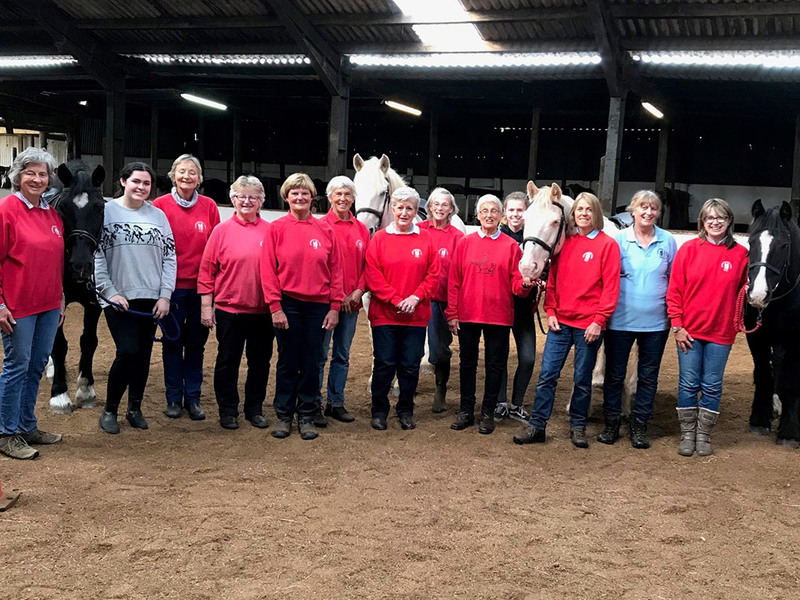 We have fun, lots of fun – RDA is very social and therapeutic not only for our riders, but also for the volunteers - lasting friendships are made with both riders and fellow volunteers. We always need volunteers so if you would like to help our riders and you like being around horses and ponies, then, please come and join us!